Maybe you've never thought twice about your eyelids before but growing up in a Chinese school, I was surrounded with girls who had monolids and I know for a fact that it was a big insecurity for them. 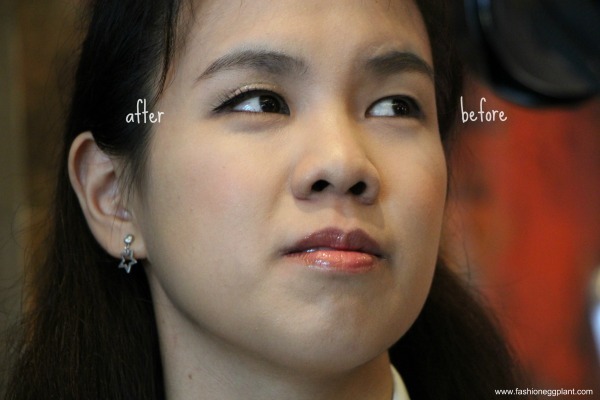 Some even went so far as to ask their parents for eyelid surgery as a graduation or debut gift. Now I have no idea how that's done but anything surgery translates to me as painful and very expensive. If you feel the same way I do about going under the knife, you'll be glad to know that K-Palette now offers a great, easy to do, painless alternative. Introducing, K Palette's Real Lasting Mega Cute Double Eyelid Glue. The new product was unveiled to us in an intimate gathering at Geisha Restaurant, BGC with a Japanese Furoshiki theme. We were asked to wrap our own press kits using the technique which was fun but admittedly puzzling to us until we found out how it relates to the product - folding! Quite witty, right? 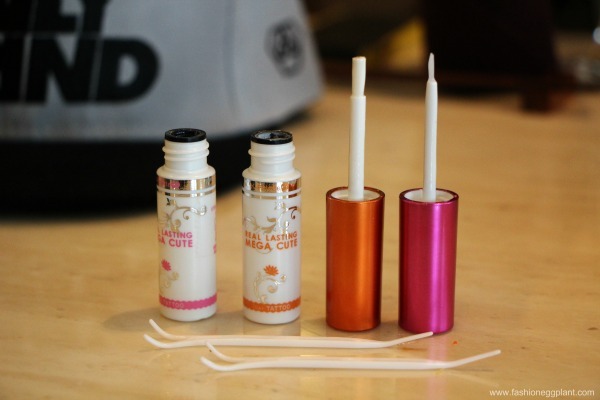 K-Palette Mega Cute comes in two formulas - a glue type (pink) and a tape type (orange). The glue type works better for people with monolids while the tape type works better for people with existing double eyelids but wish to add more drama. Of course at the end of the day, stick to what you feel works better for you since they kind of accomplish the same job but with the pink being a little more intensive. Both formulas contain moisturizing ingredients like peony extract, rosemary essence, hyaluronic acid NA, chamomile extract and are 100% safe to use around the eye area. The pink formula also works great as a glue for your falsies. And now, what you're most curious to find out, how do they work? Before applying, make sure to wipe off oil and water on your eyelids. Use the other I shaped end of the pusher to arrange the shape of your fold and you're done! Again, remember to wipe off any excess oil or water on your eyelids. Keeping your eyes half closed, let dry and wait for glue to turn transparent. Push again with the Y end shape of the pusher to "settle in the tape glue". You may re-apply if want a firmer hold. Wow. She has a double eyelid in an instant. Amazing product!